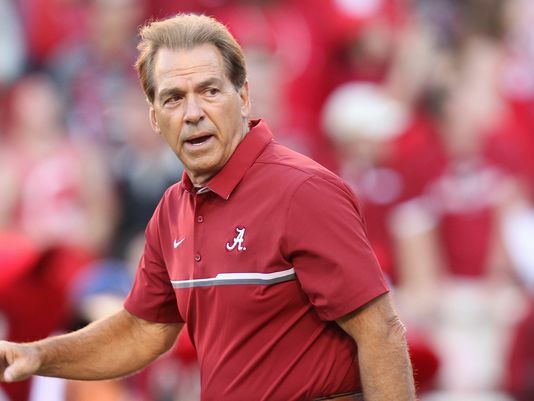 Someone gave Nick Saban a foul-mouthed 65th birthday present. Nick Saban. Image via USA Today. Happy 65th birthday to Nick Saban! Yes, the Alabama head coach was born on Halloween (Oct. 31, 1951, to be exact). That's appropriate for all the nightmares he's given the Crimson Tide's SEC opponents. 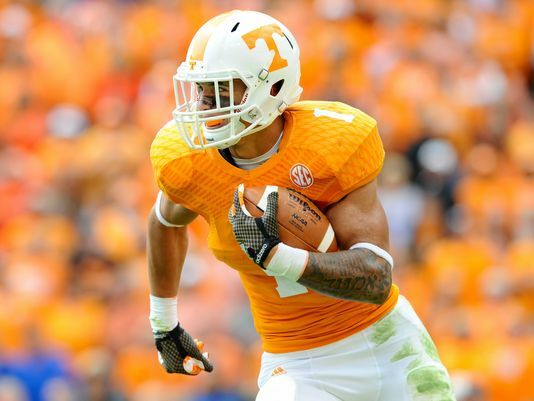 RB Jalen Hurd to Transfer from Tennessee. Jalen Hurd. Image via The Tennessean. Jalen Hurd is an ex-Vol. The Tennessee running back has decided to transfer out of the Volunteer football program. Week 10 of college football season sees 17 teams become bowl eligible. Week 9 saw seventeen schools get their sixth win of the 2016 season. That was the largest number to become bowl eligible this season. 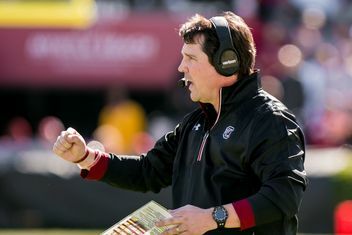 Can South Carolina still have a path to bowl eligibility in 2016. Will Muschamp. Image via Garnet and Black Attack/USA Today. 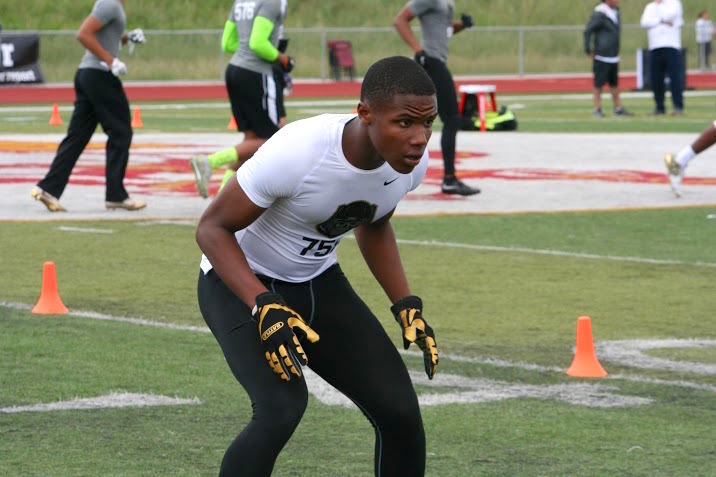 Oregon State adds high school DB Jeffrey Manning Jr. to its 2017 recruiting class. Jeffery Manning Jr. Image via scout.com. Oregon State has added a 19th commitment to its 2017 recruiting class. Bellflower, California high school senior defensive back Jeffrey Manning Jr. announced his committed to the Beavers via Twitter on Monday. Bowl Eligibility Watch, Week 8: Six more teams become bowl eligible. Six more teams became bowl eligible in Week 8. Colorado, Louisville, North Carolina, San Diego State, Toledo, and West Virginia got the sixth win needed to qualify for a postseason bowl invite. Hype video for Oregon's latest uniform combination highlights resiliency through recent struggles. 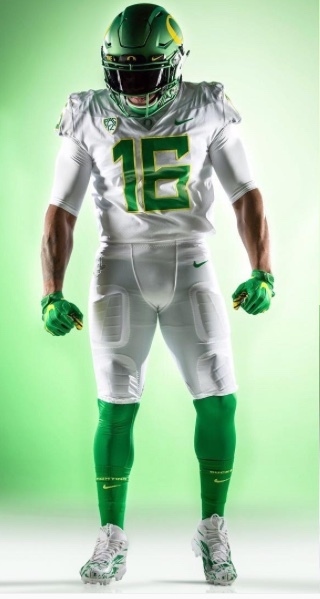 Oregon released a hype video showing which eye-catching uniform combination Nike came up for Uncle Phil's favorite team will be wearing for Friday night's road game against Cal. 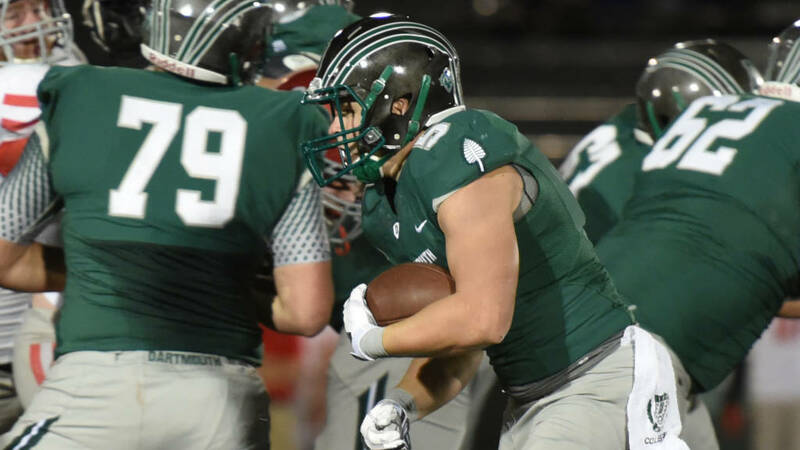 Dartmouth releases hype video for game against Columbia. Image via Ivy League Digital Network. Dartmouth has released a hype video for its road game against Columbia. That means a lot of Ivy League football highlight footage combined with images of the New York City sideline. 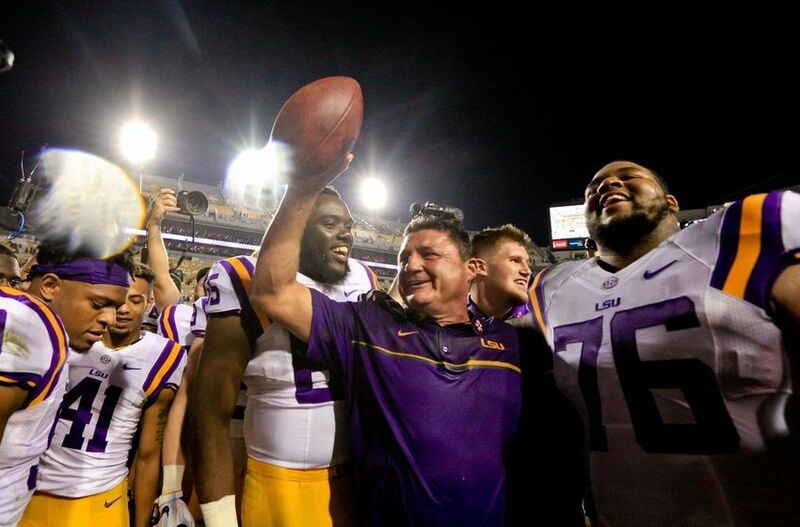 LSU needs two wins to become bowl eligible. In order to be bowl eligible, LSU has to go through five SEC opponents. Image via Big Easy Believer. 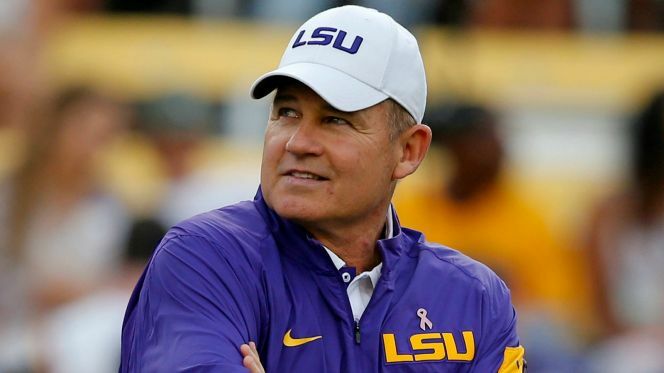 The LSU Tigers were 2-2 when the school fired head coach Les Miles earlier this season. Under interim head coach Ed Orgeron, the Tigers won their last two games, giving them a 4-2 overall record, and a 2-1 SEC conference record. Georgia faces a rocky road to bowl eligibility. Vanderbilt vs. Georgia, Oct. 15, 2016. Image via Saturday Down South. The Georgia Bulldogs currently has a 4-2 overall record, with a 2-3 SEC Conference schedule. 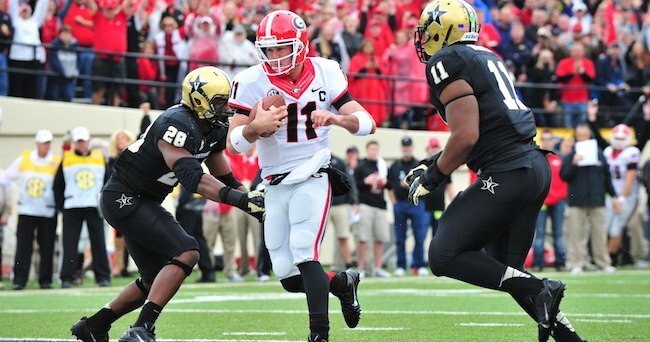 It's second loss came this past weekend when Vanderbilt upset the Bulldogs 17-16. The loss was a serious setback to Georgia's chances for bowl eligibility, as its upcoming schedule includes its three biggest rivalry games. Bowl Eligibility Watch - Week 7: Ohio St., Houston, and five more teams become bowl eligible. Seven more teams became bowl eligible in Week 7 of the 2016 college football season. Baylor, Boise State, Houston, Nebraska, Ohio State, South Florida and Utah guaranteed themselves a bowl invitation by getting to six wins. 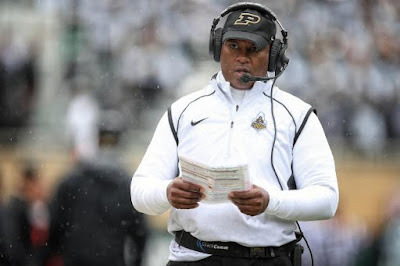 Darrell Hazell is an ex-Purdue head coach. Darrell Hazell. Image via Bleacher Report. Darrell Hazell is an ex-head football coach. The Lafayette Journal & Courier is reporting that Purdue has fired Hazell, one day following the team's 49-35 loss to Iowa. Is Les Miles a possible coaching candidate for Purdue? Les Miles. Image via FOX Sports. Your "Insane College Football Rumor of the Day" comes from USA Today's Dan Wolken, who tweeted out this gem naming former LSU head coach Les Miles as a potential candidate for the next head coach of Purdue. 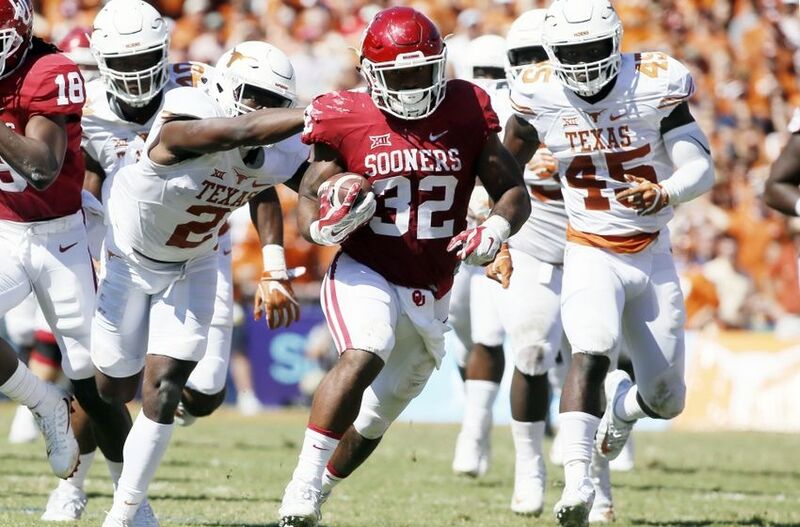 Could the Big 12 expansion saga be nearing an end? Texas vs. Oklahoma. Image via Fansided. The long national nightmare involving possible Big 12 expansion may soon be over soon. The conference has scheduled a press conference on Monday after a meeting of its board of directors. Saluting Iowa's "America Needs Farmer's" helmet sticker on National Farmer's Day. Today is National Farmer's Day. 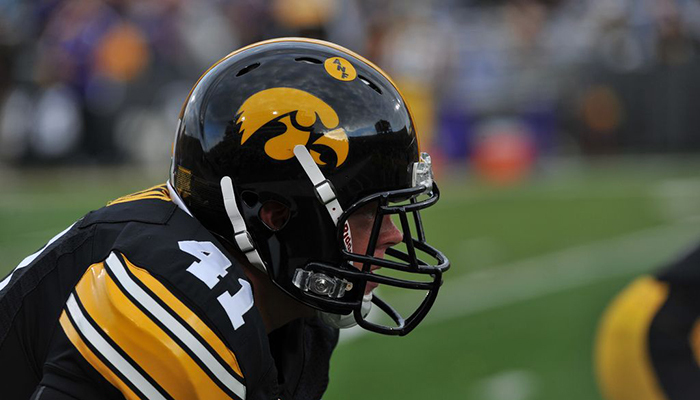 To celebrate that here's a 2015 interview with former Iowa head football coach Hayden Fry detailing the inspiration behind the legendary ANF (America Needs Farmers) sticker that began appearing on Iowa Hawkeye helmets in 1995. Three-star FB prospect Chase Lasater has recommitted from Michigan. Chase Lasater with Jim Harbaugh. Image via MGoBlog. 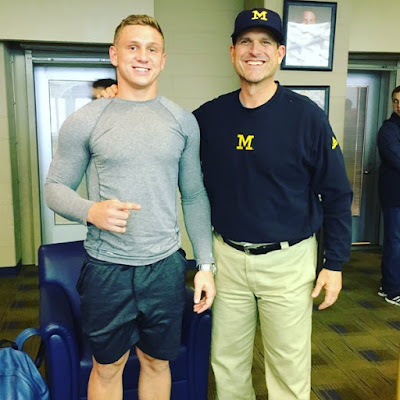 Michigan's 2017 recruiting class took a hit on Monday Jacksonville, Florida high school senior fullback Chase Lasater announced his decommitment from the school. Bowl Eligibility Watch: Six teams become bowl eligible. The 2016 college football bowl picture got a little bit clearer in Week 6. Well, as clear as it was going to get with LSU vs. Florida being postponed over concerns about Hurricane Matthew. The SEC faces some tough decisions as it tries to untangle a messy situation that in theory could have ramifications for at least the SEC Championship Game, the College Football Playoff and the New Year's Six bowls. That is if Alabama and Tennessee somehow manage not to be the SEC schools meeting in the SEC Championship Game. As for 'Bama, it along with Clemson, Michigan, Texas A&M, Washington, and Western Michigan became the first six teams to reach six wins this season, thus reaching the win threshold needed to clinch a bowl bid this season. Ten more teams have a chance for bowl eligibility with a win in Week 7. Clemson becomes first bowl eligible team of the 2016 college football season. Clemson vs Boston College. Image via The State. Congrats go out to Clemson for becoming the first team with six wins in the 2016 college football season, and the first to become bowl eligible. Dartmouth releases hype video for road game against Yale. Ready for some Ivy League-style hype? Dartmouth has released a hype video for Saturday's road trip to Yale. The Big Green beat The Bulldogs 35-3 in 2015, but are coming off a loss to Penn coming into this weekend's game. Dartmouth vs. Yale will be streamed via ESPN 3 beginning at 1:00 PM on Saturday. East Carolina DB Nhyre Quinerly dismissed following alleged auto theft. Nhyre Quinerly's mugshot. Image via WCTI. Nhyre Quinerly is an ex-Pirate. Well, an ex-East Carolina Pirate at least. 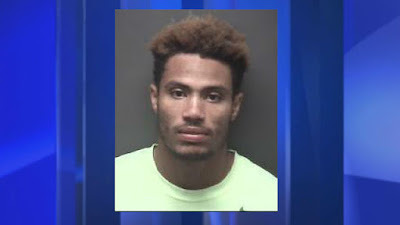 While the ECU head coach Scottie Montgomery cited "disciplinary reasons" for parting ways with the redshirt freshman defensive back, multiple sources are reporting Quinerly has been charged with possession of a stolen vehicle. According to Greenville, North Carolina television station WITN, Quinerly arrest came after a Greenville police investigation into a vehicle initially stolen in August. "Police say they were notified by a towing company this afternoon that they were in possession of a car stolen from University Park Apartments on August 28th. The car's tags were switched out with New Jersey plates that police say were stolen from another car at a local funeral home the next day. The stolen car ended up being towed from another Greenville apartment complex because it didn't have any parking permits. Officers say the former football player told the towing company he owned the car and was met by detectives when he arrived to retrieve the vehicle. Police say Quinerly lives at University Park Apartments where the car was stolen from." Quinerly faces charges of "larceny of a motor vehicle, possession of a stolen vehicle and larceny of motor vehicle parts." Quinerly, who was redshirted during the 2015 season, saw play in five games this season with ECU. Kirk Cousins loses bet, wears Indiana Hoosiers sweatshirt to press conference. Washington Redskins starting quarterback and Michigan State alum Kirk Cousins made one of those "loser wears the winner's alma mater's gear in public" wager with his backup QB Nate Sudfeld and Indiana alum Redskins over the outcome of last Saturday's Spartans-Hoosiers game. Cousins lost the wager, and appeared at a Redskins' midweek press conference wearing an Indiana sweatshirt. "Made a little friendly wager and ah...Indiana got the better of the Spartans but it was all good," Cousins said with a smile. The wager included Cousins making a donation to the charity of Sudfeld's choice, Assist International. "Assist International is gonna get a good check and ah...happy to do it. It's a good thing so I'm happy to do it. I'm rocking the sweatshirt with pride and gonna make that donation." Fortunately for cousins, the Redskins defeated the Cleveland Browns last Sunday, so his weekend wasn't a total loss. I spending some time doing some maintenance on the blog today. Trying to get back in the full swing of things. Be back tomorrow unless something comes up. Bowl Eligibility Watch - Week 5: Seven schools could become bowl eligible next weekend. Ten college football teams are one win away from being bowl eligible. The bad news for four of those teams, group, they're not getting that win next week. 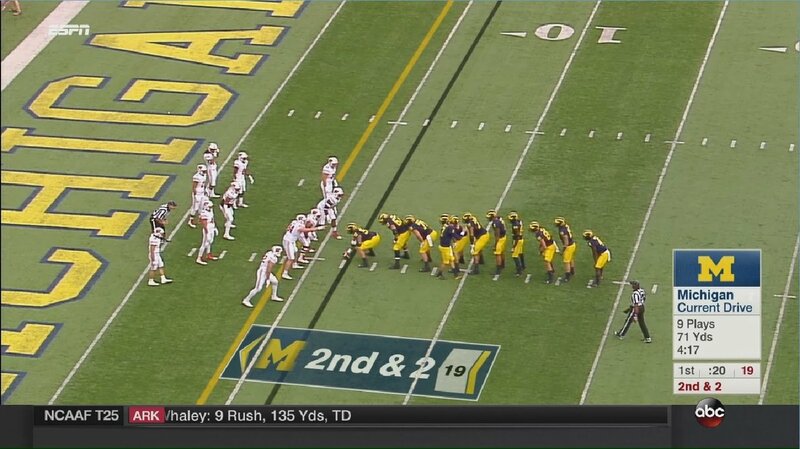 What the frak, Jim Harbaugh? This formation was part of an actual play in Michigan's game against Wisconsin. Worse, it led to a touchdown. Labels: Big Ten, Jim Harbaugh, Michigan Wolverines, That's So Harbaugh!